I'll be 100% honest with you here, I had absolutely no idea what shell paper was, I literally just saw this on Born Pretty Store, saw the pretty and wanted to try it. You get one sheet and when you peel it off, it has a sticky back like a sticker, what I did also find was that you can peel it off the sticker so it is a thin foil like sheet. I tried it with the sticky back on it. I did originally intend to do full nails of it, but that didn't work so I improvised. It turned out pretty well. 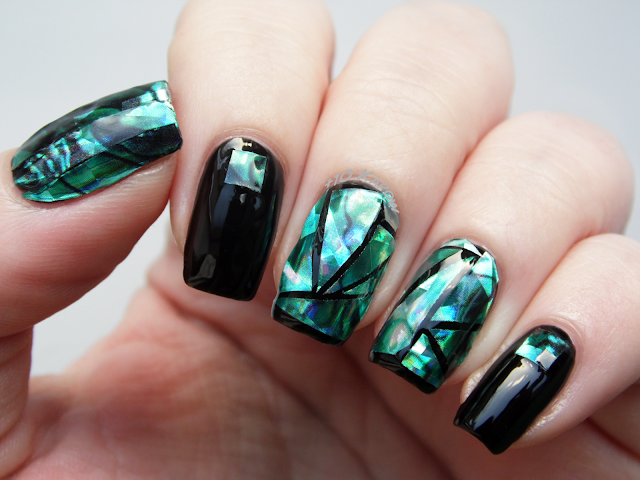 I used a base of Barry M Black and cut bits off the shell paper sheet, on the middle 2 fingers, I went for the shattered glass look, on the index and pinkie I added a small square of it and for the thumb I cut strips and laid them next to each other to try and get a full coverage. I topped it with 2 coats of Seche and even with this I did still get some lift on larger pieces, which you might notice in the photos. 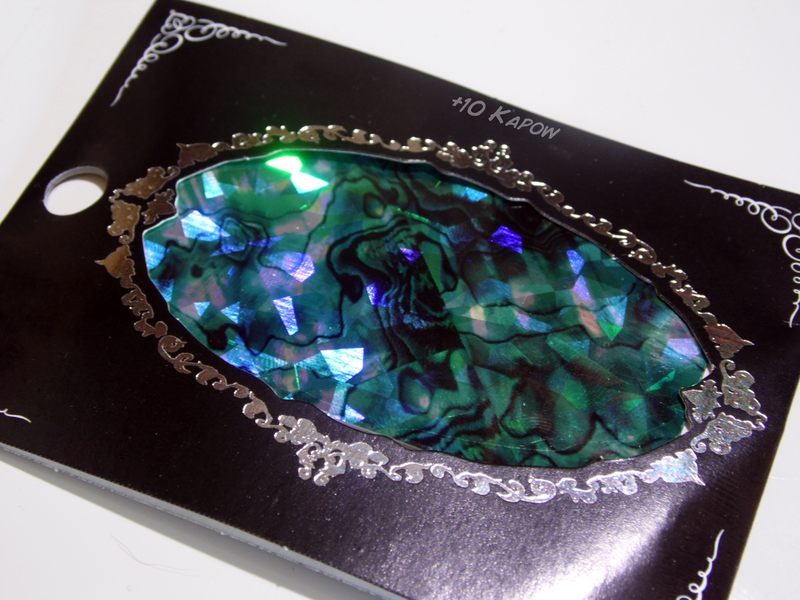 Of course, having checked, I now know that shell paper is most suited to gel and acrylic nail art, which explains a lot. It's still very pretty though and the smaller pieces away from the edges stayed flat, so you could still use it in standard nail art. 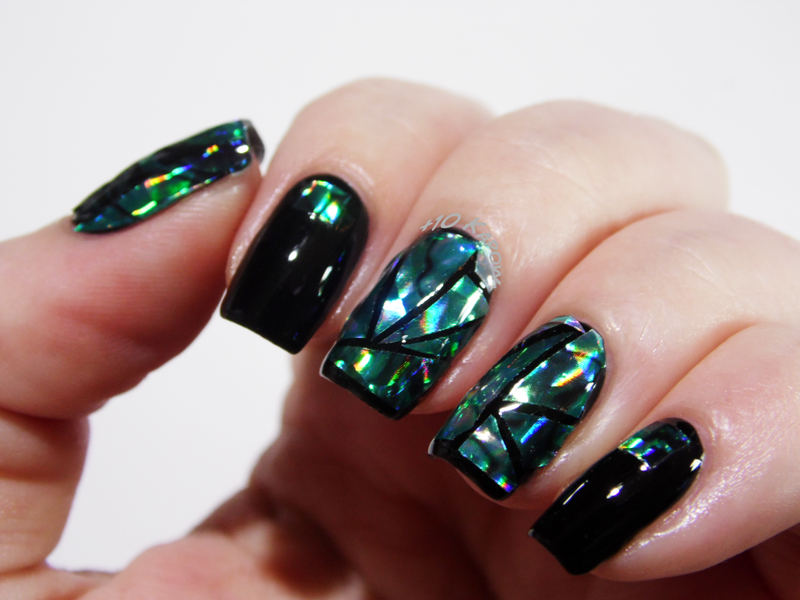 It's so pretty, look at that holo, I'd love to see someone who has used this in gel nails, I bet it is stunning. If you would like to give this a go you can buy it here for £1.40/$2.14 a sheet. There are lots of other variations that you can check out here too. 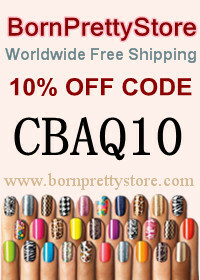 Don't forget that you can also use my code CBAQ10 for 10% off non sale items.